Mergers and acquisitions (M&A) played an important role in helping oil and gas companies survive through one of the most tumultuous times over the last five years, as oil price continues to be volatile ever since falling from $100 a barrel in 2014, according to GlobalData, a leading data and analytics company. The company’s report: ‘M&A in Oil and Gas’ reveals that falling revenues and rising debts compelled oil and gas companies to realign their strategic objectives and reshape their portfolios, leading to a large number of M&A deals. 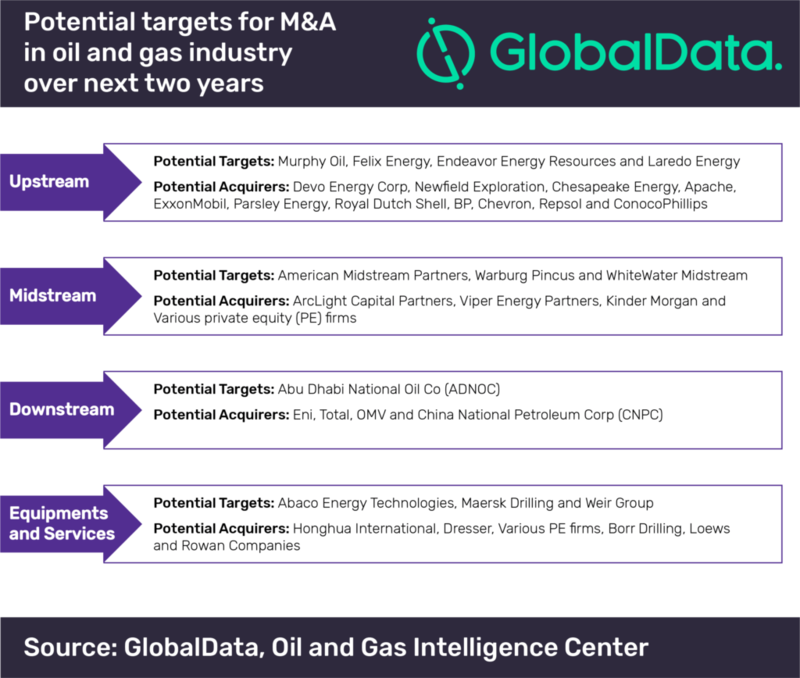 GlobalData’s thematic research identifies upstream companies such as Felix Energy, Endeavor Energy Resources and Laredo Energy; and midstream players namely American Midstream Partners and WhiteWater Midstream as potential acquisition targets in the oil and gas industry over the next two years. Oil and gas companies executed around 10,000 M&A deals in the five years to November 2018. More than 60% of the deals that were completed were in the upstream sector. The shale patches in the US and the oil and gas fields in the North Sea continental shelf featured prominently in these upstream deals. The slowdown in upstream activity due to low oil prices also had a drastic impact on the equipment and services sector.